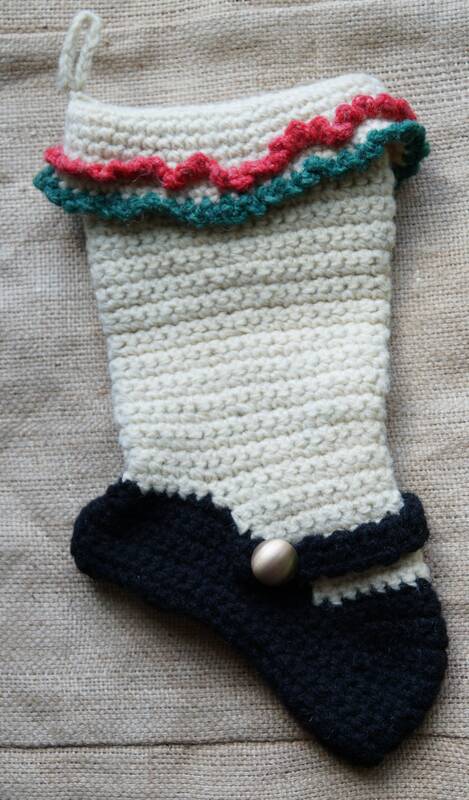 "Mary Jane" style hand made crochet wool Christmas Stocking. Measures 11 1/2 in. long by 6 in. across leg [12 inch circumfrance]. Yarn and stocking made in the USA. Ready to ship.